WHAT SIZE MINI EXCAVATOR HIRE ARE YOU LOOKING FOR? 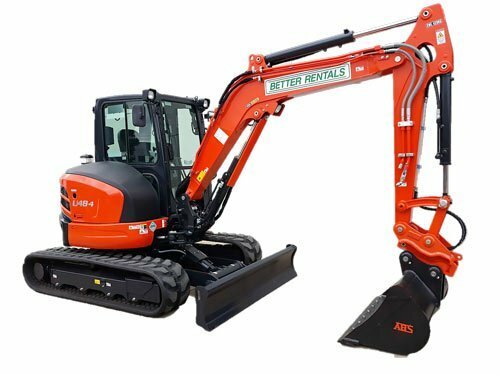 Why hire an Excavator from us? We recommend the right gear. NOT the most expensive. Excavators get dirty. We clean them for free. All Inclusive rates right here. No added extras. Ever. Problem with a hire machine? Call 24/7 and we’ll help. Excavators get dirty and we clean them for free. We have the high pressure cleaners, triple interceptors and mud pits to clean them quickly – and dispose of the mud and waste water legally and in an environmentally way. No “added extra charge” for more than one bucket and a quick hitch included. That’s right – we include three buckets as standard and can even include extra “non-standard” buckets (smooth edge, 450mm etc) with a little notice. Changing buckets without a quick hitch is a painful experience – trying to line up holes on the buckets and excavator when everything is covered in mud. Remember – not many places include one of these in their hire package. How to use the quick hitch and change a bucket. 1 tonne, 1.7 tonne, 2.5 tonne and some 5 tonne units (no hydraulic hose to the quick hitch). Some 5 tonne units – hydraulic hose to the quick hitch. 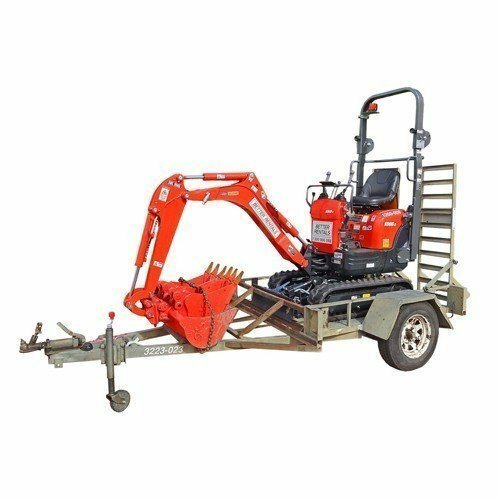 When you hire a 1.0 tonne or 1.5 tonne Excavator from Better Rentals we include a trailer. Have a look here to see how to safely unload. 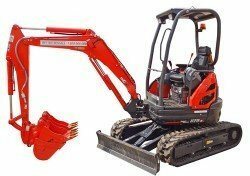 2.5 tonne excavator hire for improved job site efficiency. 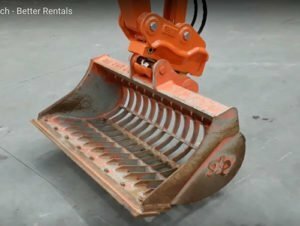 What does the Mini Excavator Hire Rate include? Free Cleaning: What you can do in hours with a hose we can do in 10 minutes with our water blaster. And the waste gets disposed of in an environmentally friendly way. Buckets: A large range range available to help get the most from your mini excavator hire – and they’re included in the hire rate. Quick Hitch: For quick and easy bucket changes we include a quick hitch with a mini excavator. GST and Damage waiver (subject to reasonable conditions). Reliability: Our excavator fleet is all low hour and well maintained – and in the unlikely event of a breakdown we have plenty of stock and will have replacement excavator delivered in no time. 24 hour/7 day service:We’re dealing with machines and from time to time you may have a problem with your excavator. Just call the branch you hired from and a real live person will help. Low Hour, Serviced Excavators; All our Excavators are maintained to manufacturer requirements – and all necessary paperwork to ensure the smooth running of your job-site and operator safety is provided. NO “Environment” Charges or Miscellaneous bits and pieces at the end of the hire that turn a low quoted rate into a big invoice. Fuel – we provide it full and charge for whatever isn’t returned. Fill up yourself and save some money as we’re a little more expensive than the servo. Cartage – unless of course we’re late then there’s no charge. Operators – all our hire is on a “dry hire” basis. Our “On Time Or Delivery is Free” Guarantee leaves the risk of a late delivery with us. If the Mini Excavator is not on site by the agreed delivery time – delivery is free. No “fine print”, No “Ifs”, No “Buts” – “Late = No Charge for Delivery”. Our fleet of delivery trucks do the vast majority of our deliveries so you know it’ll be delivered on-time by someone who cares. The most popular excavator in our fleet. Plenty of power to do the job – and small enough to tow behind most vehicles. Tow vehicle requires 2 tonne tow capacity. Perfect for tight access – will drive through your garage and through a standard door. If you don’t need the tight access – take the 1.7 tonne excavator; it’ll do the job quicker – and the hire rate is the same. We’re easy to deal with and quote an “All Inclusive Hire Rate” Our quoted hire rate include damage waiver (with reasonable conditions), and GST as well as the other stuff that can turn a low rate into a big final charge. Free Trailer : You’re travelling to site so why not tow the excavator yourself and save on delivery charges to reduce your total hire cost? Our 1.0 and 1.5 tonne mini excavator hire rate includes a trailer – but your tow vehicle does require a 2 tonne towing capacity. FREE Buckets : A large range range available to help get the most from your mini excavator hire – and they’re included in the hire rate. 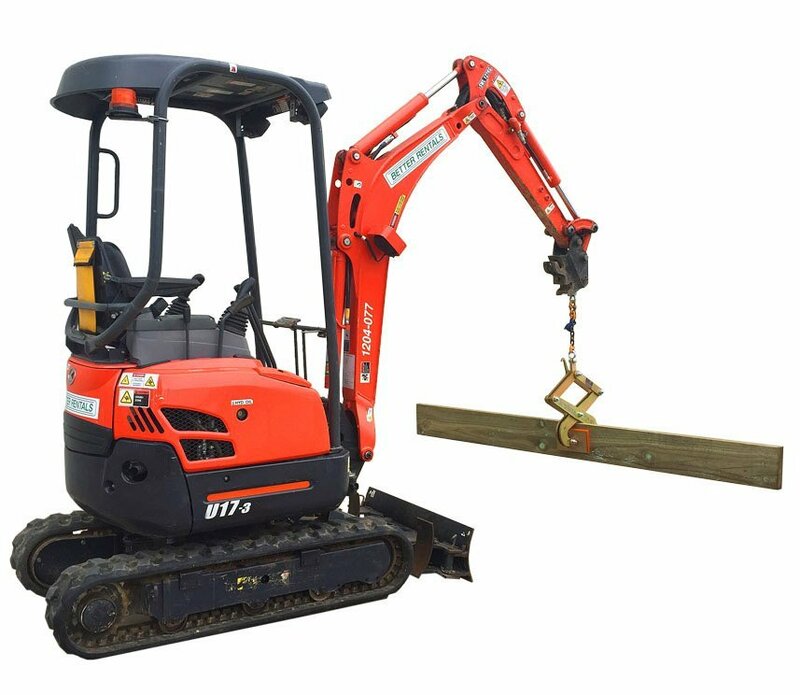 Quick Hitch : For quick and easy bucket changes we include a quick hitch with excavator hire. 24 hour/7 day service : We’re dealing with machines and from time to time you may have a problem with your excavator. Just call the branch you hired from and someone will help. 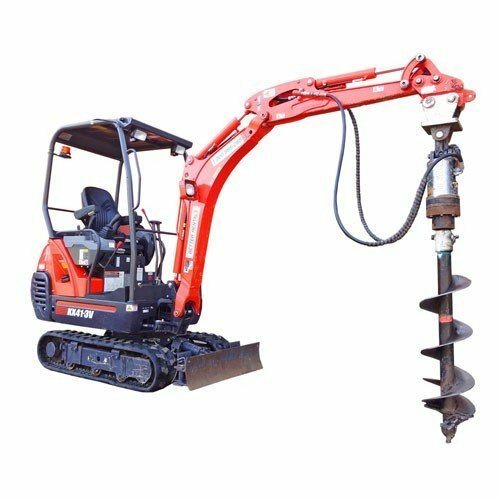 Excavator Attachments : breakers, post hole diggers and rippers are available with your mini excavator hire. Reliability : Our fleet is all low hour and well maintained – and in the unlikely event of a breakdown we have plenty of stock and will have replacement excavator delivered in no time. A range of Excavators for Hire for a range of jobs. 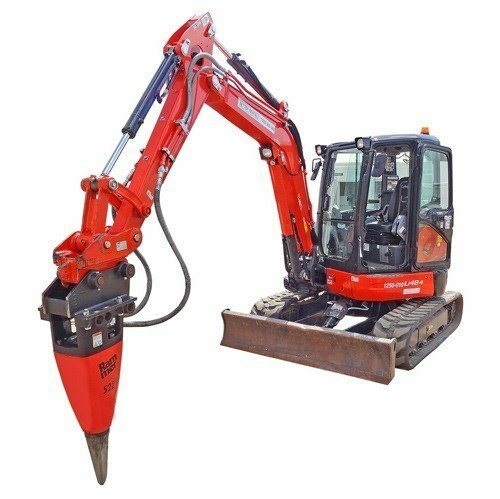 From a small one day job for footings or trenching through to the monthly hire of a large excavator, our hire rates and the quality of a Better Rental’s low hour equipment will leave you pleasantly surprised at the benefits of hiring from us. Since 1988 we’ve been providing Excavator Hire in Pakenham. When we started in Pakenham there were cows in the field where the Pakenham sports centre is located – and there was an air field where on the Koo-Wee-Rup road with a parachute centre. Back then we had a one 1.5 mini excavator. And weren’t we pleased with our one excavator. It seems our customers were too as it has long gone – but our fleet has have grown to the size we very rarely run out and includes roughly 40 excavators covering the 1 tonne, 1.5 tonne, 3 tonne and 5 tonne size. 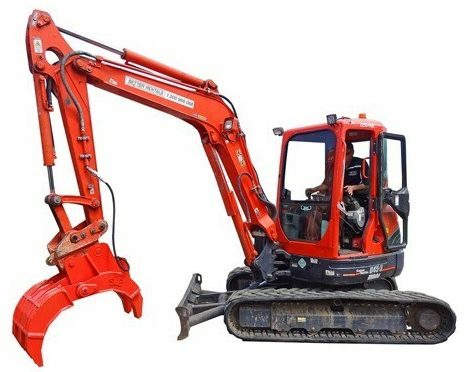 We’ve plenty of attachments too – and with our great service and replacement systems and local staff who live, work and play in Pakenham make the hire of an excavator for any job in Pakenham easy. Excavator Hire in Cranbourne started way back in 1986. Actually we didn’t have an excavator to hire in our fleet at the time as we were more of a tool hire company. And it wasn’t possible to buy a mini excavator at the time. But, after being open a while we did purchase pretty much the first Mini Excavator in Melbourne. We took it down to see the guys at Telstra who in those days had Telecom on their shirts and trucks (yes – it was a long time ago). They had a depot in Cranbourne and they liked the service we provided. 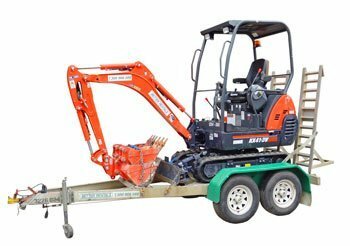 They guys at Cranbourne Telecom laughed when they saw the size of the 1.5 tonne excavator on a trailer we showed them – then they hired it for 6 months and towed it all over the Cranbourne area digging holes and filling them up again. Of course we’ve grown from the cliched “humble beginnings” and can now help not only Telstra (who now get others to dig their holes for them) but lots of others in the Cranbourne & Tooradin area with excavator hire.